A superbly engineered recital of songs by a little-known Finn. (...) Ondine's thoughtful selection is an excellent place to start getting to know this remarkable music. 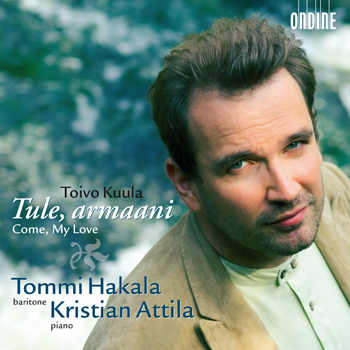 A rare collection of 19 solo songs by Finnish composer Toivo Kuula: real hits in Finland and worth discovering for their tales of human passion. The powerful music combines romantic tonality with folk elements from Ostrobothnia, impressionistic colors and elegiac melodies. The songs are mostly settings by the contemporary poets Eino Leino and V.A. Koskenniemi.